In 2012, President Barack Obama won reelection with a staggering 71 percent of the Latino vote. But it seems the tides have turned. Janet Murguía – the leader of the National Council of La Raza, the largest national Hispanic civil rights organization – labeled the president the “Deporter-in-Chief.” On the other side, House Republicans have been pushing for faster deportations, while continuing to resist the call for reform to the nation’s immigration laws. The newest wave of unaccompanied migrant children arrived in the US has led to increased public attention. According to US Customs and Border Patrol (CBP), over 52,000 unaccompanied migrant children have been taken into custody this year alone, many of whom will be deported. The issue has received heightened scrutiny in the wake of news that journalist Jose Antonio Vargas was detained this week in McAllen, Texas. Vargas came to the US in 1993, as an unaccompanied child migrant from the Philippines. He, like so many young undocumented immigrants, had no knowledge of his legal status until he tried to obtain a driver’s permit at age 16. For years he hid the fact that he was undocumented; he graduated high school, went to college, began a career as a journalist, and eventually attained one of the highest honors in writing, the Pulitzer Prize. It was only in 2011 that he revealed his undocumented status, and became an outspoken advocate for immigration reform. He was visiting the border town of McAllen, Texas on assignment, and had no knowledge of the CBP checkpoint within the boundaries of the US. As a result, he was detained at the airport by the CBP trying to board a flight to Los Angeles, where he was set to attend a screening of his own documentary. In the trailer for Documented, Vargas stated, “We mow your lawn, we work at your houses, maybe we are your doctors, your nurses, we are not who you think we are.” His story is one we have heard time and time again, and it’s a reminder that we are a nation of immigrants. Immigration activists constantly remind the public that most undocumented immigrants in the US are law-abiding and hardworking citizens. They have pushed for changes in our immigration system, and there is evidence that many Americans agree with this sentiment. 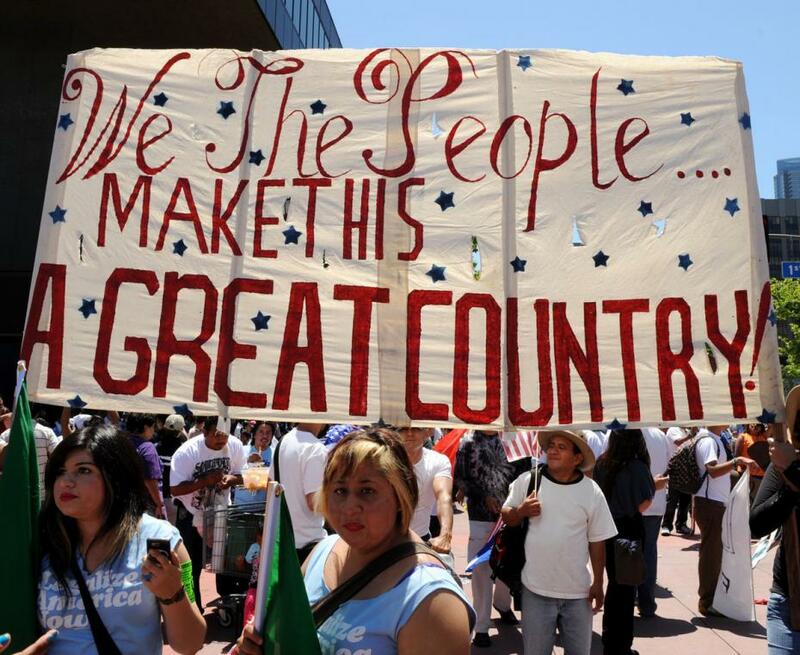 A May 2014 Pew Research Center survey found that 73 percent of Americans supported a path to legal status, and 75 percent believe the US policies need major changes. Yet immigration reform has been declared dead in the House of Representatives since the defeat of former House Majority Leader Eric Cantor, and Obama increasingly criticized for his plan to enact executive order. While Republicans have called for the deportation of the estimated 11.2 million undocumented immigrants residing in the US, they show no signs of trying to work with the Obama administration or Democrats to come up with a tangible solution. Immigration is an issue that Americans want to deal with, but House Republicans refuse to even bring it up for debate. Reform has stopped being about the DREAMers or Americans like Jose Antonio Vargas; now, it’s a political game. The Republican base doesn’t want immigration reform, and the GOP won’t risk losing seats in the upcoming midterm elections. But alienating Latino and immigrant communities, who tend to lean left, will only further hurt the GOP. In the age of the constant campaign, needed policies like immigration reform are being held hostage – much like the dreams of the unaccompanied migrant children who risked everything to escape poverty, corruption, and violence for a new life in the United States. Sarah J. Galvez is an East Coaster now residing in Southern California. She graduated from Simmons College, a women’s college, where studied International Relations, Public Relations and Marketing. She’s a lover of all things politics, feminism, and Old Bay.